Are you experiencing Anxiety, Depression, Stress, PTSD – suffering under major or minor traumas? The Richards Trauma Process TM (TRTP) provides a very powerful way of addressing these issues. They can be resolved quickly, effectively and very safely, in generally 3 sessions. The Richards Trauma Process (TRTP) turned around my way of understanding effective therapeutic intervention for trauma. I feel passionate about assisting people to achieve positive life changes and gain lasting relief from lifelong pain and trauma. If you feel that yesterday’s trauma and today’s anxiety and depression are ruling your life, TRTP can assist you to overcome all these symptoms, quickly and safely, AND without drugs. I started working with Karin last year when issues of anxiety and depression continued to have a negative impact on my life. Through the psychotherapy sessions and more recently with hypnosis, Karin has helped me to address and overcome these problems. As a result, I feel a lot calmer and more in control of my life, which has made it a lot more fulfilling and enjoyable. 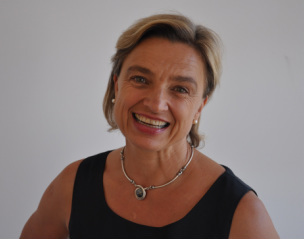 Karin is a warm, compassionate, insightful, empathetic and good humoured counsellor. She provides a safe and welcoming environment for her therapy sessions. I would whole heartedly recommend Karin because I have firsthand experience of the positive impact that working with her can have on your life. After a long history of depression and various approaches to treat it, including antidepressants and long term therapy and counselling, I found Karin who strongly advocated that I try TRTP. It’s 3 months since I started the process and I can truly say that this is the most “normal” I have felt in a long time. It’s been an extraordinary turn around in such a short time and I continue to be amazed that it’s working. What is The Richards Trauma Process (TRTP)? The Richards Trauma Process, or TRTP, has been designed and created by Judith Richards. This process is the result of her own healing after surviving severe trauma, and her journey studying and understanding trauma. TRTP is a step by step process, elegantly designed to resolve extreme trauma and PTSD (post traumatic stress disorder), as well as trauma related symptoms like depression, anxiety, stress, fears, obsessive behaviours, addiction, the list goes on. This process is not for everybody and certainly no miracle cure. TRTP generally works in 3 sessions, effectively and safely – without re-traumatising the client. 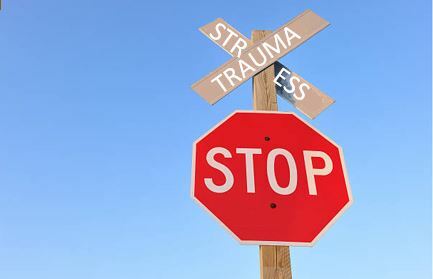 TRTP stands uniquely on its own, but is in alignment with the processes used by other Trauma experts such as Levine, van der Kolk, Rothchild and Ogden. The person must be moved (in some way) to an empowered position with regard to their trauma. The body must know (in some way) that the event or events are over.